Contrary to the opinion of so many, it was not the tee shot on 17 that caused him the most anxiety. 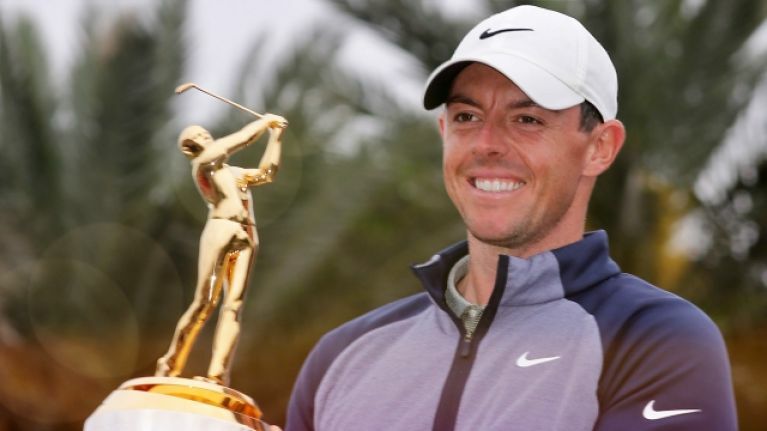 53 weeks after his last win, Rory McIlroy claimed The Players Championship - the 'fifth major' - at Sawgrass, on Sunday. The Northern Irishman edged out veteran Jim Furyk after shooting a final round of 70. Jhonattan Vegas, Eddie Pepperell and Furyk were all going great guns whereas McIlroy was +2 over his first eight holes. He then birdied the ninth and got his act together on the way home. "You know, it's... all I wanted to do was step up, hit a little flighted hold 9-iron over that bunker. I wasn't looking at the pin. Obviously I wasn't. But as a pretty decent golfer I think you look at that green and just say, 'Okay, just hit this green'. It's going to be a really bad swing or something is going to be really off not to hit that green. "So I picked my target, I choked down, a couple little rehearsals of the swing I wanted to make, and I went. That was it. My thing was it was the first good swing of three swings I needed to make to win the tournament." Rory McIlroy finds the Island Green at 17. Par carded, McIlroy headed on to the final hole and told himself he was two good swings away from winning his 24th career title. That tee shot on 18, he later admitted, was his toughest challenge but he smoked a beauty down the fairway. "The 18th tee shot was the one," he said, "that was probably the most difficult shot that I had all day; knowing I had a 4 to win. I just picked my target, I stepped up, and I just made a committed swing. "And the way golf works and the way I've always done. This goes back to the Hong Kong Open in 2008, and I had a chance to win there, and I was really uncomfortable with the 18th tee shot all week, and on the last hole, it was a 3-wood and I just said to myself, if you make a good swing at this, no matter what happens... I don't believe in anything really, but I think like the golf gods will reward you for just making a good committed swing. "And any time I have a tough tee shot, I stand up, I pick my target, and I swing as hard as I can. And usually it works out because you've committed to it, you've got a clear head, and the last two days I've piped it down 18 by just remembering that tiny little thing from Hong Kong 10 years ago." It really is worth watching that tee shot again, considering McIlroy's comments. And, while we're at it, here was his approach to 18. In form at the right time.